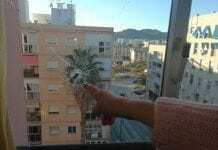 THE Guardia Civil is investigating the deaths of an elderly Danish couple found in a Torrox flat on Tuesday. The bodies were discovered at the Costa del Oro urbanisation shortly after 10pm following a call from a neighbour saying they had not seen the couple, both in their 70s, for a long time. The corpses, in an advanced state of decomposition, were found lying back to back on the living room floor with a cooking pot beside them. 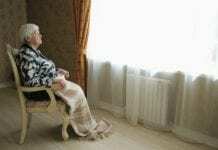 Neighbours said the deceased man was poorly and was being cared for by his wife. So far the cause of death has not been established but it has been suggested the two Danes, who died within a short time of one another, had ingested poison. Following their initial inspection of the couple’s flat, the Guardia Civil said there is nothing to suggest there was a third person involved in the deaths. This is a tale of true love, the only sad thing is that they were not buried or cremated sooner. I’m surprised someone has’nt posted about how it is wrong to take one’s own life. I have great respect for their actions.